Today Omair Sarwar successfully defended his PhD thesis entitled Facial Privacy Protection in Airborne Recreational Videography. Omair participated in our Erasmus Mundus Doctoral School on Interactive and Cognitive Environements and was co-supervised by Andrea Cavallaro. The committee was composed by Prof. Hermann Hellwagner (chair), Prof. Ildar Farkhatdinov (Queen Mary University of London) and Prof. Wilfried Elmenreich. Let's congratulate our most recent PhD graduate! Tuday Ihtesham Haider successfully defended his PhD thesis entitled Trustworthy and Privacy-Aware Sensing for Internet of Things. The committee was composed by Prof. Stephan Weiss (chair), Prof. Dimitrios Serpanos (Univ. of Patras) and Prof. Stefan Rass. Omair Sarwar, Andrea Cavallaro and Bernhard Rinner. Temporally smooth privacy protected airborne videos. In Proceedings of the IEEE/RSJ International Conference on Intelligent Robots and Systems (IROS 2018), Madrid, Spain. October 2018. 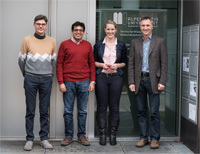 Sharath Chandra Akkaladevi, Matthias Plasch, Christian Eitzinger, Andreas Pichler and Bernhard Rinner. Towards a Context Enhanced Framework for Multi Object Tracking in Human Robot Collaboration. In Proceedings of the IEEE/RSJ International Conference on Intelligent Robots and Systems (IROS 2018), Madrid, Spain. October 2018. 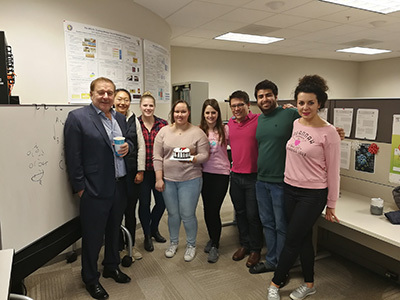 Our research and teaching staff member Jennifer Simonjan returned from her research visit at Prof. Akyildiz's Broadband and Wireless Networking Lab at Georgia Tech in Atlanata, USA. Jennifer was working on multi-camera calibration methods and explored concepts for nano-cameras, which are built upon nanoscale photodetectors, lenses and electronic circuitry. Jennifer Simonjan, Josep Miquel Jornet, Ian Akyildiz and Bernhard Rinner. 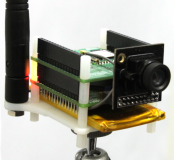 Nano-Cameras: A Key Enabling Technology for the Internet of Multimedia Nano-Things. In Proceedings of the 5th ACM/IEEE International Conference on Nanoscale Computing and Communication, Reykjavik, Iceland. September 2018. Our new doctoral school, the Karl Popper Kolleg on Networked Autonomous Aerial Vehicles has just started with four PhD students working on the emerging topics: (i) modular sensor fusion, (ii) decentralized mission planning, (iii) optimized data transmission, and (iv) decentralized time synchronization. Groups from robotics, pervasive computing, mobile communications systems, multimedia systems, and other disciplines join forces to create an inspiring environment in which faculty members, PhD students, international research fellows, and world-leading labs and companies closely collaborate. The Pervasive Computing group held a two day retreat in South Styria. We discussed various research and teaching topics including the deployment of new sensor and camera networks, the revision of our lab courses, and supervision of students. To strengthen our team spirit we enjoyed a climbing experience at Riegersburg. During the past week, the following three conference papers have been accepted. These papers present recent research results in multi-UAV systems, camera networks and self-aware computing - three core topics of our research group. Jürgen Scherer and Bernhard Rinner. Short and Full Horizon Motion Planning for Persistent multi-UAV Surveillance with Energy and Communication Constraints. In Proceedings of the IEEE/RSJ International Conference on Intelligent Robots and Systems (IROS 2017), Vancouver, Canada. September 2017. Jennifer Simonjan, Melanie Schranz and Bernhard Rinner. Self-calibration and Cooperative State Estimation in a Resource-aware Visual Sensor Network. In Proceedings of the International Conference on Distributed Smart Cameras (ICDSC 2017), Stanford, USA. September 2017. Zakarya Guettatfi, Philipp Hübner, Marco Platzner and Bernhard Rinner. Computational Self-Awareness as Design Approach for Visual Sensor Nodes. In Proceedings of the International Symposium on Reconfigurable Communication-centric Systems-on-Chip (ReCoSoC 2017), Madrid, Spain. July 2017. In April 2017 I was visiting the Intelligent Signal Processing Lab and the Big Data Institute at Korea University. 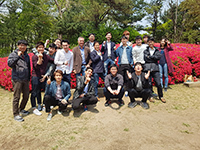 Both the lab and the institute are supervised by Prof. Hanseok Ko. I gave an overview talk on our research in multi-drone systems and presented our key achievements in coordination and decision making algorithms as well as selected use cases and demos. 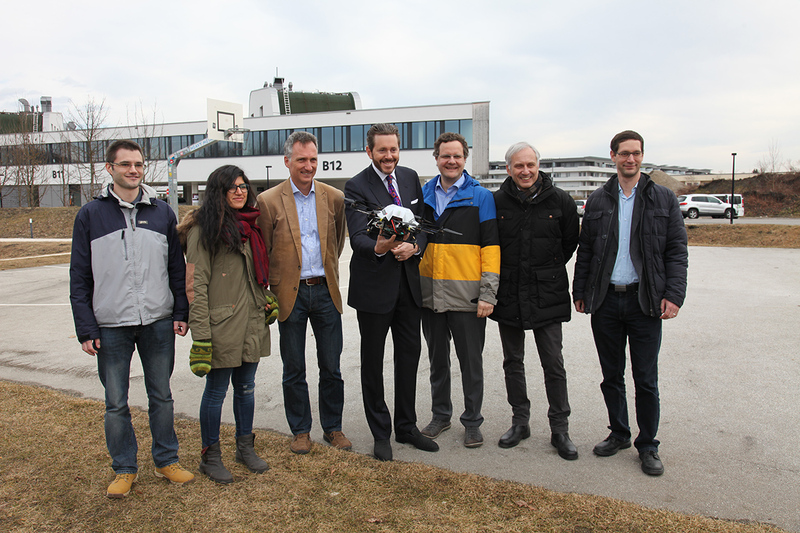 State Secretary Harald Mahrer visited Klagenfurt University and the Lakeside Park. We gave a 45-minutes presentation of our UAV reasearch activities including outdoor and indoor flight demos. Check out our relaunched web site of the Networked Autonomous Aerial Systems. Asif Khan, Bernhard Rinner and Andrea Cavallaro. Cooperative Robots to Observe Moving Targets: A Review. IEEE Transactions on Cybernetics, 2017. 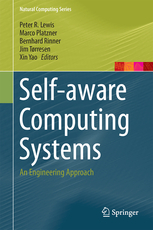 Bernhard Rinner and his team intensively contributed to the emerging book on Self-aware Computing Systems: An Engineering Approach by Springer. This book comprehensively covers the latest results from our European Future Emerging Technologies project on Engineering Proprioception in Computing Systems (EPiCS) and is the first ever to focus on the emerging field of self-aware computing from an engineering perspective. Book description: Taking inspiration from self-awareness in humans, this book introduces the new notion of computational self-awareness as a fundamental concept for designing and operating computing systems. The basic ability of such self-aware computing systems is to collect information about their state and progress, learning and maintaining models containing knowledge that enables them to reason about their behaviour. Self-aware computing systems will have the ability to utilise this knowledge to effectively and autonomously adapt and explain their behaviour, in changing conditions. 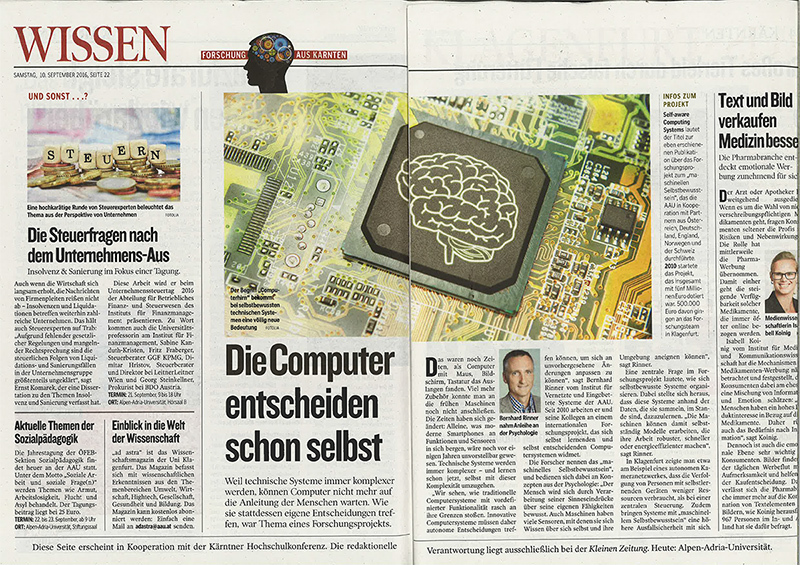 Newspaper article about our book on Self-aware Computing Systems (in German). Pervasive Computing group: "Out of the Box"
The Pervasive Computing group of NES! We wanted to show the people of the Pervasive Computing group and some of their research objects in an unusual setting. We had to crawl into the wooden boxes first, before we could break out. Hope you enjoy the result, as much as we have enjoyed the "making of". On January 12 Melanie Schranz successfully defended her PhD thesis entitled Design Space Exploration for Coordination and Control Strategies in Visual Sensor Networks. The committee was composed by Prof. Andrea Tonello (chair), Prof. Faisal Qureshi (Univ. of Ontario) and Prof. Bernhard Rinner. Melanie Schranz is the first female PhD graduate of NES and the tenth PhD graduate of the Pervasive Computing group! On October 22 Asif Khan has passed his PhD defense with distinction. 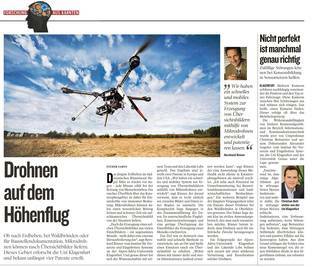 His thesis entitled Coordinated Unmanned Aerial Vehicles for Surveillance of Targets was conducted as part of our Erasmus Mundus Doctoral School on Cognitive and Interactive Environments (ICE). Asif was co-supervised by Andrea Cavallaro. 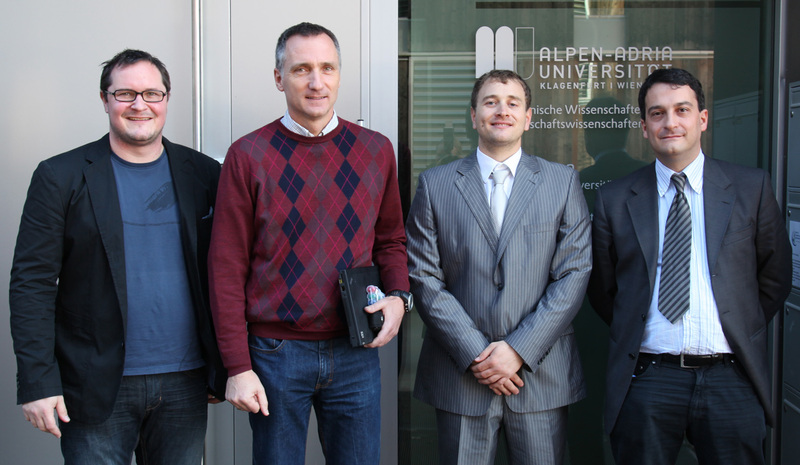 Michael Hofbaur (Joanneum Research), Hermann Hellwagner and Bernhard Rinner were on the thesis committee. Our team at NES has organized and hosted the Austrian Robotics Workshop (ARW) on May 7-8, 2015 in Klagenfurt. With more than 80 participants and speakers from eight different countries this workshop has now grown into an international event where people from academia and industry meet to present and discuss work in the various fields of robotics. Two keynote speakers gave inspiring talks on their thrilling research in robotics. Sabine Hauert from Bristol Robotics Laboratory and University of Bristol explained the development of nano-robots and how they may support medical treatment. Werner Huber from BMW Group Research and Technology presented the self-driving cars, which have received a lot of media coverage lately. 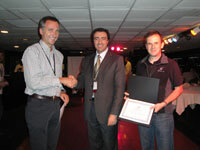 Mathias Schörghuber received the best student paper award. Let's meet again at the ARW 2016 in Wels! Both patents have resulted from our Collaborative Drones (cDrones) research project which has been funded by Lakeside Labs. 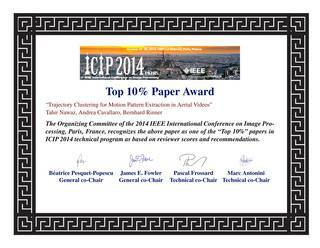 The paper titled Trajectory clustering for motion pattern extraction in aerial videos by T. Nawaz, A. Cavallaro, B. Rinner has been awarded as top 10% paper by the organizing committee of the IEEE International Conference on Image Processing (ICIP 2014). Congratulations to all the authors. On July 21 Lucas Esterle has passed his PhD defense with distinction. His thesis entitled Autonomous Distributed Tracking in Networks of Self-Organised Smart Cameras was conducted as part of the EPiCS research project. Janusz Konrad (Boston University), Laszlo Böszörmenyi and Bernhard Rinner were on the thesis committee. read our recently accepted AVSS papers:Winkler et al., Erdelyi et al. 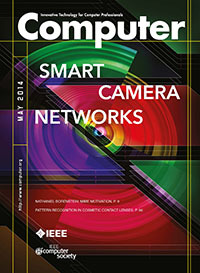 The May 2014 issue of IEEE Computer features six articles on various topics of smart camera networks. Camera networks are a fascinating area for current research--the nature of cameras and the information-rich data they generate calls for an increase in specialized attention to this area. This issue has been edited by Martin Reisslein, Bernhard Rinner and Amit Roy-Chowdhury. Although several conferences, journals, and books on this topic have appeared in the past decade, almost all focused on research from specialized areas, such as computer vision, networks, embedded systems, and so on. In contrast, this issue offers a more general computing and engineering overview and brings together a collection of advances in different fields to foster novel applications for future developments. 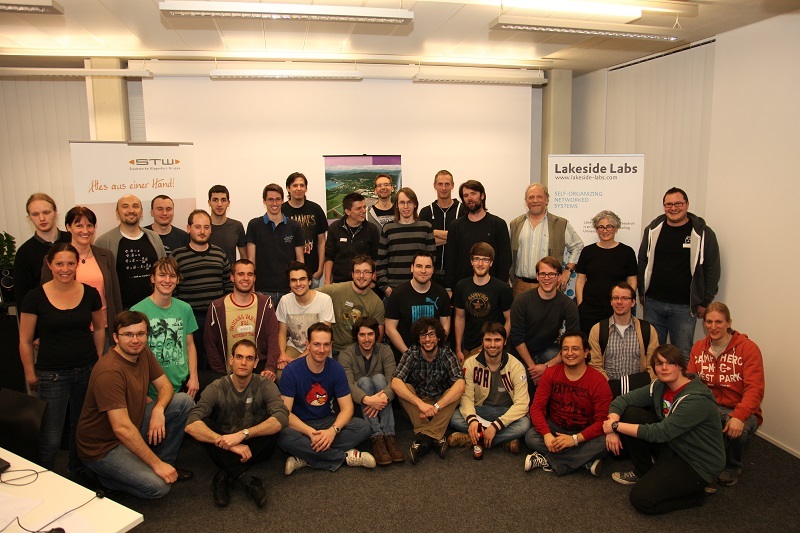 On March 13th and 14th, the CROSMOS team organized the first GameJam at Lakeside Labs in Klagenfurt. More than 30 people participated in this exciting 2-day event and developed creative computer games in five teams. 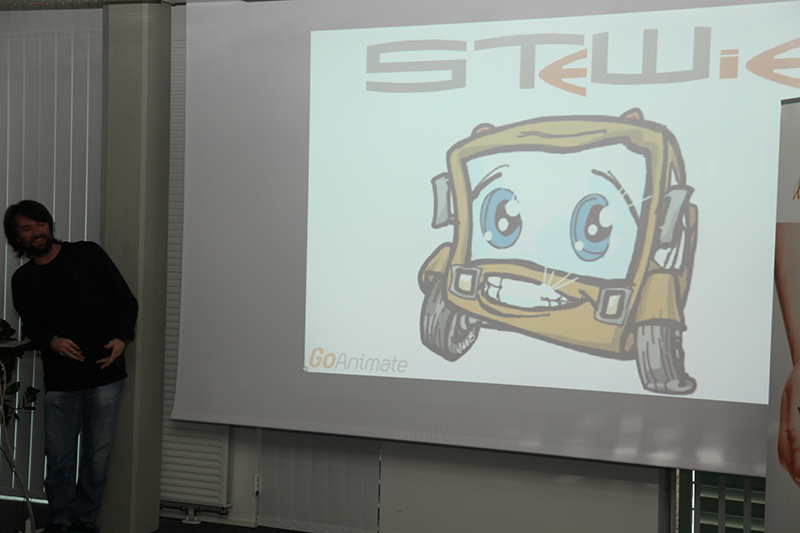 The teams presented their games, and a committee selected the winner: STeWie. Our cooperation partner Stadtwerke Klagenfurt handed over annual passes for Wörthersee Strandbad to all team members. Thanks to the organizers and all participants. Hope to see you again at the next GameJam! On December 10 Daniel Wischounig-Strucl has passed his PhD defense with distinction. His thesis entitled Resource aware and incremental mosaics of wide areas from small-scale UAVs was conducted as part of the cDrones research project. Gian Luca Foresti (Univ. 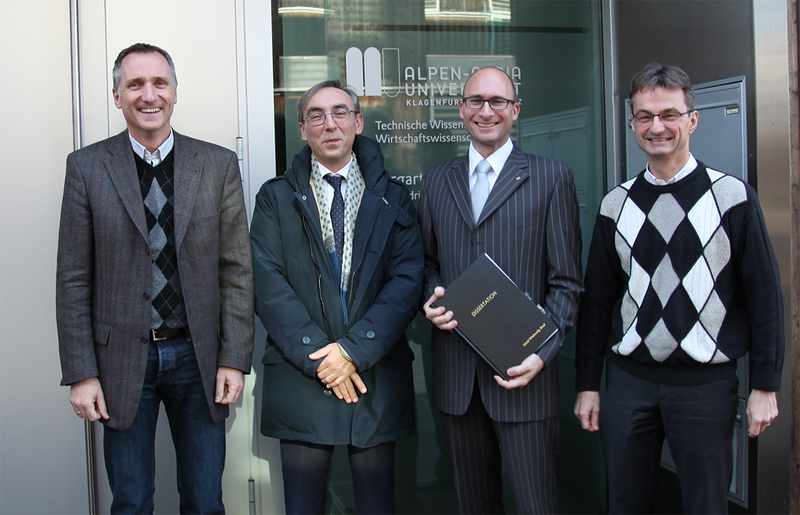 Udine), Hermann Hellwagner and Bernhard Rinner were on the thesis committee. Today Bernhard Dieber has passed his PhD defense with distinction. His thesis entitled Resource-aware Reconfiguration of Visual Sensor Networks was conducted as part of the SRSNet and EPiCS research projects. Andrea Prati (Univ. Venice), Mathias Lux and Bernhard Rinner were on the thesis committee. Thomas Winkler and Bernhard Rinner. Security and Privacy Protection in Visual Sensor Networks: A Survey. ACM Computing Surveys, pages 38. (accepted for publication). 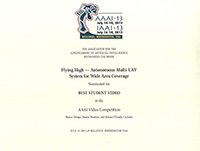 Our video Flying High was nominated as best student video at the Twenty-Seventh AAAI Conference on Artificial Intelligence (AAAI-13). This video is part of our multi-UAV research which is supported by Lakeside Labs. Today Umair Ali Khan has passed his PhD defense with distinction. His thesis entitled Online Learning of Timeout Policies for Dynamic Power Management was conducted as part of the Mobile Traffic Checker (Mobi Trick) research project. Marco Platzner (Univ. Paderborn), Hermann Hellwagner and Bernhard Rinner were on the thesis committee. I've been involved in smart camera research for more than a decade. So time to look back and celebrate the progress which has been achieved. Recent tutorial talk on Smart Cameras and Visual Sensor Networks at the S5 spring school in Modena. Check also our recent publications (e.g., in IEEE Signal Processing magazine and ACM Transactions on Sensor Networks), videos and the CFP on Smart Camera Networks in IEEE Computer. Today Saeed Yahyanejad has passed his PhD defense with distinction. His thesis entitled Orthorectified Mosaicking of Images from Small-scale Unmanned Aerial Vehicles was conducted as part of the Collaborative Microdrones (cDrones) research project. Gian Luca Foresti (Univ. 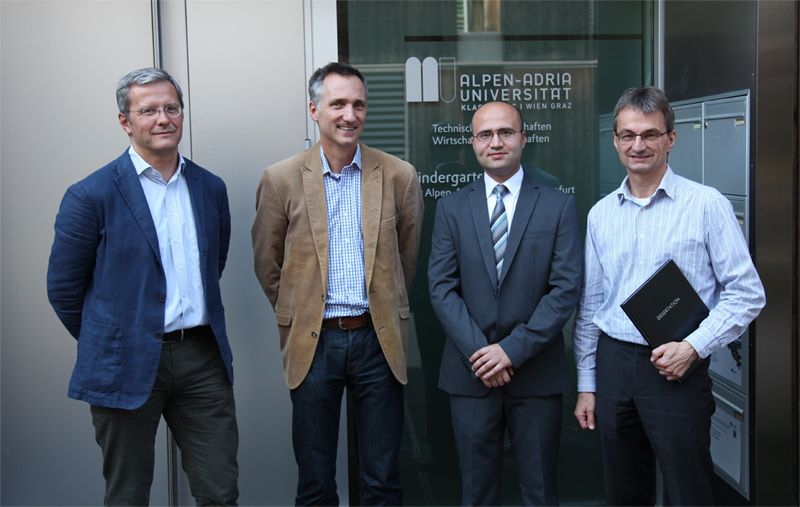 Udine), Mario Huemer and Bernhard Rinner were on the thesis committee. Our new Lakeside Labs research project on Self-organizing Intelligent Network of UAVs (SINUS) has recently started with a kickoff meeting. 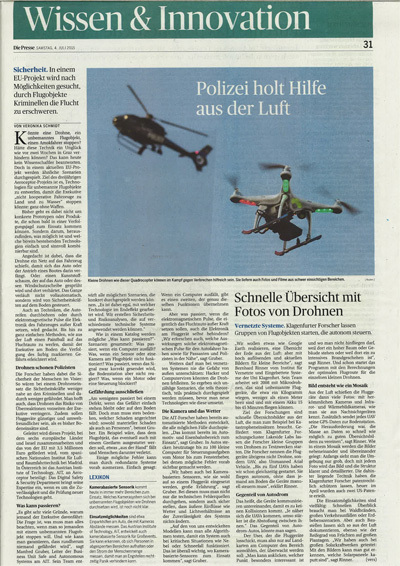 This joint research project of the groups at Klagenfurt University aims at coordination, networking and sensing aspects in small-scale multi UAV systems runs for a period of 30 months. It is funded by Lakeside Labs with an overall budget of 760 kEUR. 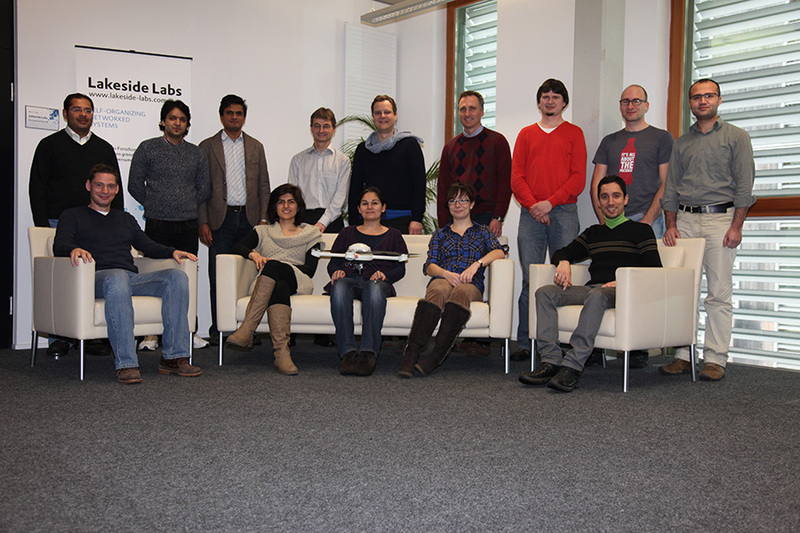 Our UAV research is also supported by our Erasmus Mundus ICE doctoral school. Today, the pervasive computing group surprised me with a very nice birthday present. 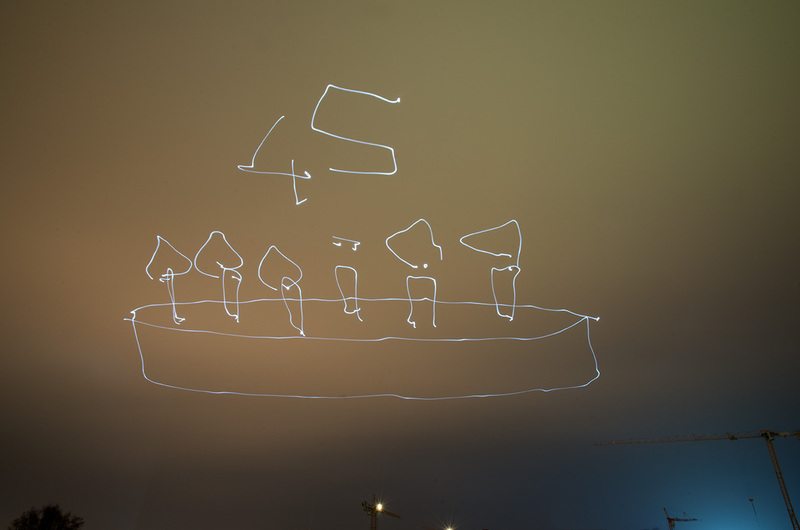 I received a birthday cake drawn up in the air with one of our autonomous aerial vehicles (UAVs). The UAV was equipped with an LED light and autonomously followed GPS waypoints switching on and off the LED appropriately. The entire flight was composed of 149 waypoints, took about 20 minutes and was captured by long exposure photography. You can learn more details about our UAV research and this "nightscribe" in one of our recent papers. Click here for a larger version of the image. If you look carefully, you can recognize my current age :-). 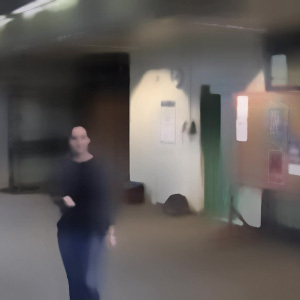 Our recently started research project on Trustworthy Sensing in Visual Sensor Networks (TrustEYE) address important questions in increasing security and protecting privacy in resource-limited camera networks. The TrustEYE is a key component of this research; it identifies sensitive image data and secures all data delivered by the image sensor exploiting a hardware-based secure element. The research objective is to expand trust from the sensor over the camera node and to the entire camera network. 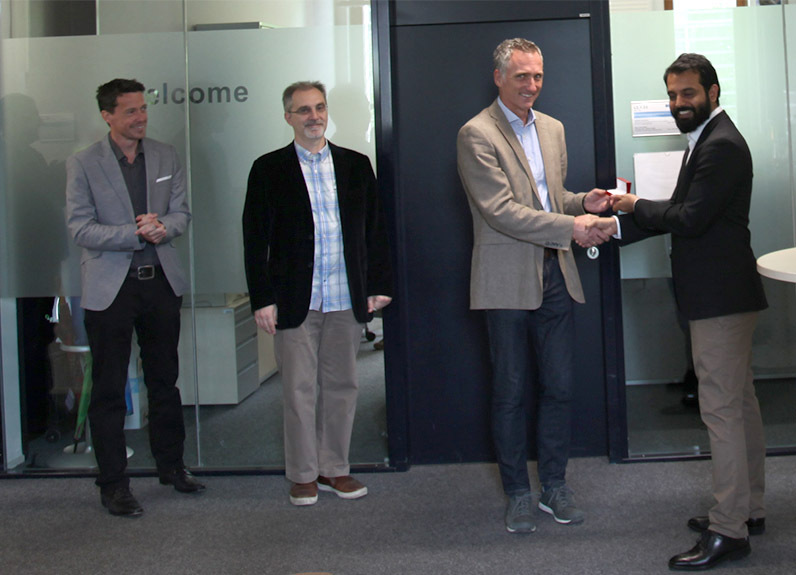 The TrustEYE project has been acknowledged funding by the Austrian Science Fund; financial support is provided by the Carinthian Economic Promotion Fund (KWF). We are happy that Adam Erdelyi has joined our team as PhD student. Roland Tusch and Felix Pletzer received the Best Demonstration Award at the IEEE International Conference on Multimedia and Expo. They presented LOOK2 - A video-based system for real-time notification of relevant traffic events which has been developed in the SOMA project in collaboration with ASFiNAG and Lakeside Labs. Both researchers also presented another paper entitled Efficient Level of Service Classification for Traffic Monitoring in the Compressed Video Domain which describes the developed algorithms for traffic video analysis in more detail. Information and communication technology is one of the most significant forces driving technical and economic progress throughout the world. ICT systems are part of our daily lives both at work and at home: We communicate via mobile phones, enjoy multimedia entertainment via the Internet, and share digital photos and videos with our families and friends. The world has become increasingly networked. A latest trend is that ICT systems are more and more hidden in objects in daily use - they are literally "embedded" and make these gadgets smart. Tiny sensors, for instance, are embedded into clothes to monitor vital signs. It takes highly trained and creative engineers to generate such innovations. They develop new ideas, products, and services to make life simpler and more comfortable. The Institute of Networked and Embedded Systems (NES) at the University of Klagenfurt contributes toward this trend by performing cutting-edge research and teaching in this domain. Research and teaching areas include wireless communications and networking, sensor and camera networks, signal processing, and autonomous aerial robot systems. A special focus is set to self-organizing systems, where Lakeside Labs clusters the expertise on this emerging topic in Klagenfurt. We are indeed proud of our development: Since its foundation in 2007, the NES institute has grown to almost 50 staff members - now being the largest research and teaching unit in Klagenfurt. With more than 40 % of researchers from abroad, we offer a truly international and multicultural environment. Our research portfolio includes both basic science and applied research, where the annual third-party volume reaches two million Euros, and the number of publications exceeds 40 journal and conference articles per year. Staff members received best paper awards and were short listed and offered positions by international top universities. Teaching takes into account the fast and continuous changes typical for the world of ICT, where knowledge is quickly outdated. Students enjoy wide and wellfounded education and are trained to think analytically and grasp complex interrelationships. NES offers core courses of the bachelor program Informationstechnik and the follow-up master and programs in English. It also participates in the international program Interactive and Cognitive Environments, Austria's first Erasmus Mundus doctorate program. We have recently completed the following survey: Thomas Winkler and Bernhard Rinner. Security and Privacy Protection in Visual Sensor Networks. 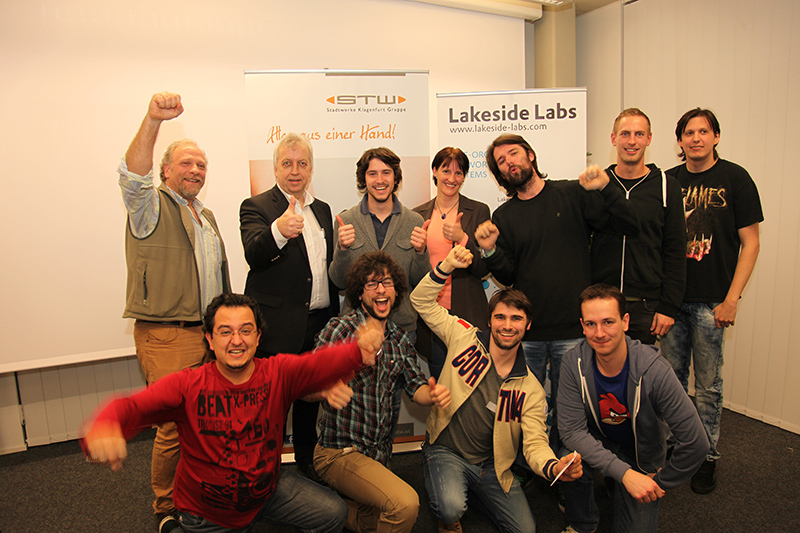 The Austrian federal minister for science and research, Karlheinz Töchterle, visited Lakeside Labs in Klagenfurt. He and his delegation received an overview of research activities and a short demonstration of aerial robots. A press conference concluded the meeting. Researchers of the Pervasive Computing group developed a method to generated an overview image -- a so-called mosaick -- from a set of individual aerial images. 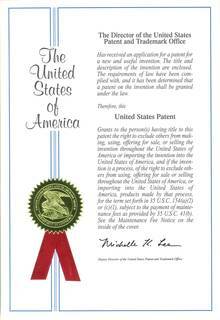 The novel mosaicking methods were filed as patent applications at the European and US patent offices. The manuscripts have recently been published and are available for download using identifiers EP 2423871 and EP 2423873. 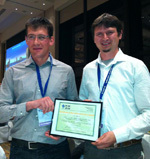 Our master student Gerald Stanje received the Best Student Demo Award for his presentation entitled "Organic Solar Cell-equipped Energy Harvesting Active Networked Tag (EnHANT) Prototypes" at ACM SenSys 2011. Gerald Stanje is currently working on his master thesis at Columbia University in New York. 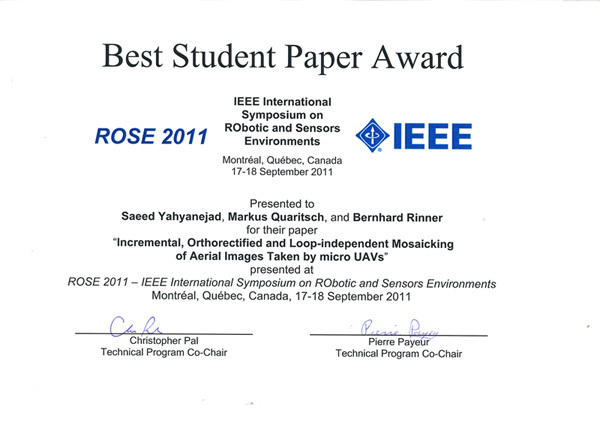 Saeed Yahyanejad received the Best Student Paper Award at the IEEE International Symposium on Robotic and Sensor Environments (ROSE 2011) in Montreal. In the awarded paper Incremental, Orthorectified and Loop-independent Mosaicking of Aerial Images Taken by micro UAVs, the authors Saeed Yahyanejad, Markus Quaritsch and Bernhard Rinner survey challenges of incremental image mosaicking and improve orthorectification by migitating identified errors. This work was part of the cDrones project funded by Lakeside Labs. 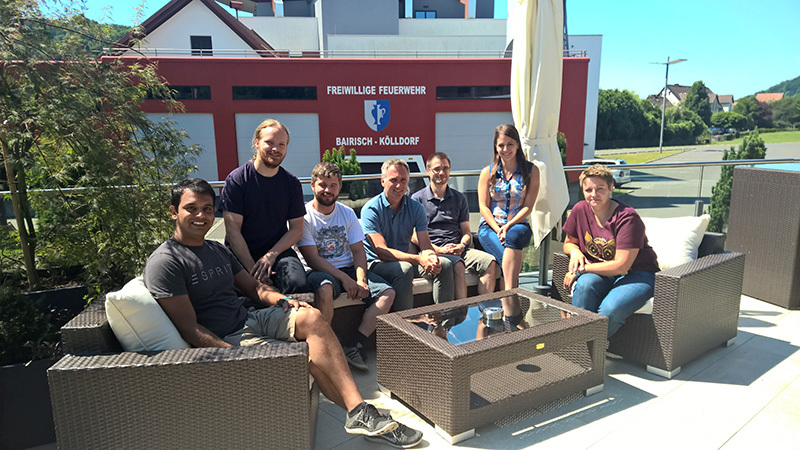 The Pervasive Computing Group organized the first summer school of the Erasmus Mundus doctoral school on Interactive and Cognitive Environments. 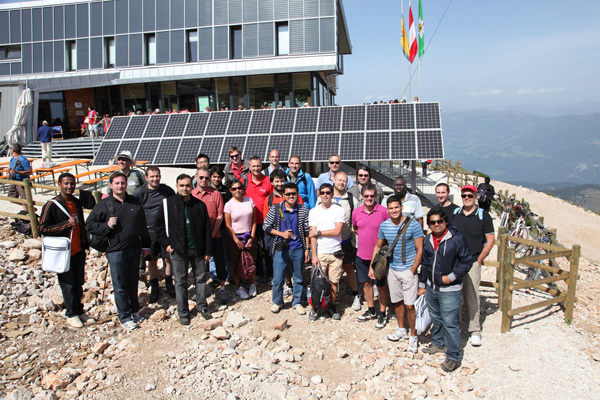 The IEEE/ICE Summer School on Networked Embedded Systems took place from September 3-7, 2011 in Klagenfurt and attracted 35 participants from 17 different countries. The summer school included 8 lectures, 2 tutorials, student presentations, a lab tour and an excursion to Infineon Austria in Villach. The lectures were given by world experts in the field including Ian F. Akyildiz (GaTech), Kay Roemer (Univ. Luebeck), Carlo Regazzoni (Univ. Genua) and Andrea Cavallaro (QM Univ. London). On Sunday, the participants enjoyed a hike on top of Dobratsch. Our paper entitled Resource-Aware Coverage and Task Assignment in Visual Sensor Networks has been recently accepted for publication in the IEEE Transactions on Circuits and Systems for Video Technology. In this paper we formally introduce the coverage and resource allocation problem in visual sensor networks, present an approximation method based on an evolutionary algorithm and discuss experimental results achieved on embedded camera nodes. We are happy to announce that Thomas Winkler has passed his dissertation defense with distinction! His PhD thesis entitled Security and Privacy in Smart Camera Networks introduces a new approach to security and privacy protection in camera networks based on Trusted Computing. 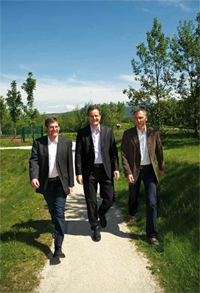 The PhD committee was composed by Prof. Hellwagner (chair), Prof. Bloem (TU Graz) and Prof. Rinner. Let's wish our most recent alumni all the best for his future! Our recent paper entitled "User Centric Privacy Awareness in Video Surveillance" by Thomas Winkler and Bernhard Rinner has been accepted in the Springer Multimedia Systems Journal. We are currently looking for a highly-motivated researcher for a 4-year research and teaching staff member position ("Universitäts-AssistenIn") starting in August 2011. Please check the official call for applications (in German) for more details. Application deadline is June 15, 2011. The ICE team at our university is organizing the IEEE/ICE Summer School on Networked Embedded Systems from September 3 to 7, 2011 in Klagenfurt. This summer school aims to provide both a clear overview and an in-depth presentation of state-of-the-art research in networked embedded systems. The summer school is part of the Erasumus Mundus PhD Program on Interactive and Cognitive Environments (ICE) and is also open to interested students not enrolled in the ICE PhD program. Bernhard Rinner held a keynote lecture on "Pervasive Smart Cameras" at the International Conference on Pervasive and Embedded Computing and Communication Systems (PECCS 2011). In this talk, Bernhard Rinner introduced smart cameras and their potential for various applications. He then focused on the fundamental challenges of performing real-time vision on distributed embedded platforms. A presentation of case studies of distributed smart cameras concluded this talk. A group of our students has developed GeoBashing - a location-based mobile massive multiplayer online game (MMMOG). Bernhard Dieber, the project leader, explains: "You play GeoBashing outdoors in the real world as a single player or together with others. In GeoBashing you compete against other players in challenges and fights." 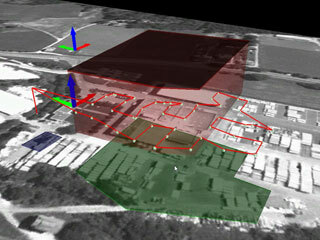 GeoBashing has already been demonstrated at various events such as Technik-Live or our recent OpenLab@NES. All participants were really excited. So let's play and have fun! Check out the GeoBashing site, but also our publications. Bernhard Rinner is organizing a half-day tutorial on Smart Cameras and Visual Sensor Networks at the SPIE Electronic Imaging in San Francisco. The motivation for this tutorial is to bring together researchers and students working on the various fields related to smart camera networks and to introduce this topic to embedded systems people. This half-day tutorial provides a unique opportunity to get introduced to the state-of-the-art and open problems in smart camera networks and to get to know the work and the people conducting research in this field. This tutorial should leverage a fruitful exchange of ideas and stimulate future research among the smart camera and embedded systems communities. Klagenfurt will host the 8th IEEE Conference on Advanced Video and Signal-based Surveillance from August 30 to September 2, 2011. AVSS-2011 will feature workshops, challenge sessions, a dedicated Industrial Surveillance Day and is co-located with the ICE Summer School on Networked Embedded Systems. Together with Gian Luca Foresti, Bernhard Rinner serves as general conference chair. Andrea Cavallaro serves as technical program chair. Check the AVSS-2011 site for updates. Our cDrones team successfully demonstrated our collaborative microdrones at a large fire fighter's practice in Wietersdorf, Carinthia. We tested two scenarios: autonomous generation of a large "Google Earth like" overview image and real-time video streaming and distribution from the unmanned aerial vehicles (UAV). Check the cDrones site for more details including images and videos. 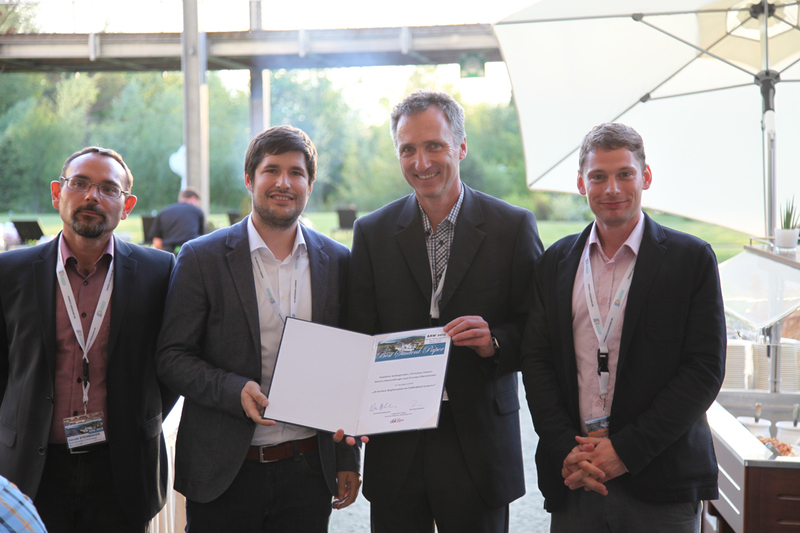 Thomas Winkler and Bernhard Rinner received the best paper award (runner up) at the IEEE Conference on Advanced Video and Signal-based Surveillance for their paper entitled "TrustCAM: Security and Privacy-Protection for an Embedded Smart Camera Based on Trusted Computing". This paper presents our TrustCAM -- a security-enhanced smart camera which realizes integrity protection, authenticity and confidentiality of image data. Our proposal for the project on Engineering Proprioception in Computing Systems (EPiCS) within the European framework of Future Emerging Technologies (FET Proactive) has been accepted for funding. Eight partners - Univ. Paderborn (coordinator), Imperial College London, Univ. Oslo, Univ. Birmingham, EADS Munich, ETH Zurich, AIT Vienna and Klagenfurt University - will perform research on self-awareness in computing systems. EPiCS is planned for a period of four years and will receive funding of about 5 million Euros. The EPiCS project aims at laying the foundation for engineering the novel class of proprioceptive computing systems. Proprioceptive computing systems collect and maintain information about their state and progress, which enables self-awareness by reasoning about their behaviour, and self-expression by effectively and autonomously adapt their behaviour to changing conditions. The Pervasive Computing group will contribute research in the self-organization of visual sensor networks. Thus, EPiCS also nicely fits into the research agenda of Lakeside Labs. Since the foundation of our institute in the year 2007, the Institute of Networked and Embedded Systems (NES) has acquired 6.4 million Euro of third-party research funding, corresponding to a monthly rate of 50.000 EUR per professor. The grants and contracts include about 1.5 million from the EU, 1 million from national funds, 1 million from industry, and 2.5 million via the Lakeside Labs research cluster. By the end of this year, NES will provide 40 full-time jobs for ICT researchers, where 3/4 of them are funded externally. Prof. Daniele Nardi (Sapienza Univ. Roma) will visit our group and Lakeside Labs on February 24, 2010. He is well known for his work in artificial intelligence and robotics. During his visit he will give a talk on the potential of small unmanned aerial vehicles (UAVs) for emergency response applications. 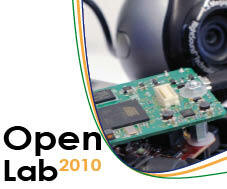 The Pervasive Computing group invited students, colleagues and friends to its first "Open Lab" on January 14, 2010. The goal of this event was to demonstrate ongoing student's work, to inform about our teaching activities and to provide a platform for social interaction. More than ten students pesented their project and thesis work. The Open Lab was much fun! Thanks to all who made it possible! Some impressions can be found here. We are currently preparing our Erasmus Mundus Joint Doctorate on Interactive and Cognitive Environments which starts in the fall semester 2010. This 3-year joint programme provides a top research education with a specialization in the various fields of computer science, electronic and telecommunication engineering. Students will study in at least two of the five universities of the ICE consortium. We are currently soliciting applications from top qualified and highly motivated students from all over the world. Selected students will receive a three year contract with competitive compensation. Please check the ICE web site for the online application. The call for applications will close on February 15, 2010. We are organizing a half-day tutorial on Smart Cameras and Visual Sensor Networks at the Embedded Systems Week in Grenoble. The lecturers are Francois Berry, Dominique Ginhac, Joel Falcou and Bernhard Rinner. The motivation for this tutorial is to bring together researchers and students working on the various fields related to smart camera networks and to introduce this topic to embedded systems people. This half-day tutorial provides a unique opportunity to get introduced to the state-of-the-art and open problems in smart camera networks and to get to know the work and the people conducting research in this field. Our proposal for the Erasmus Mundus Joint Doctorate school Interactive and Cognitive Environments has been accepted for funding. This new training and research program will be offered by the University of Klagenfurt in cooperation with the University of Genoa (coordinator), UPC Barcelona, TU Eindhoven, and Queen Mary (University of London). It is expected to start in fall 2010, offering about 15 PhD scholarships per year. Erasmus Mundus promotes scientific excellence and mobility in higher education in Europe. The selection process of the doctoral schools was very competitive: Out of about 150 proposals, 13 proposals have been selected. 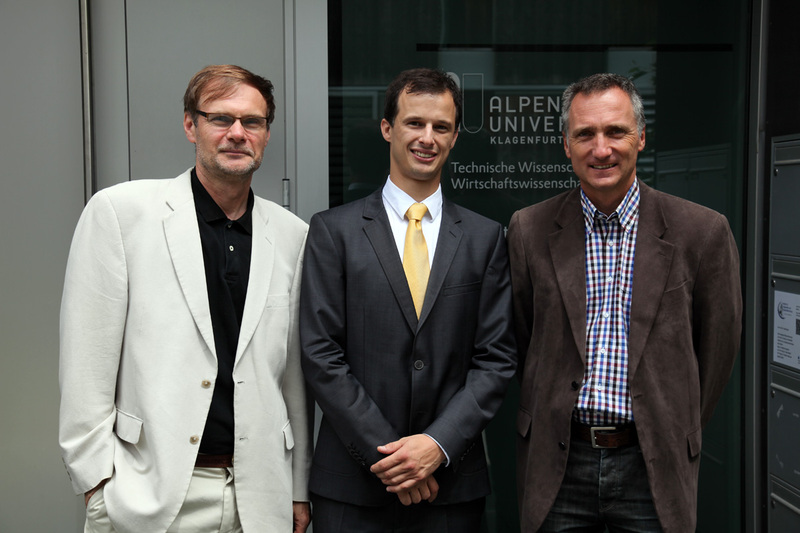 Klagenfurt is the only Austrian university participating in an Erasmus Mundus doctorate program. We are actively participating in the International CONET Summer School SENIOT: From Sensor Networks to Networked Intelligent Objects. This summer school takes place at the Bertinoro International Center for Informatics (BiCi) from July 26 - August 1, 2009. Thomas Winkler is attending the summer school as student while Bernhard Rinner is giving a lecture on Smart Cameras and Visual Sensor Networks. Our research project "Closed-Loop Integration of Cognition, Control and Communication (CLIC)" has been awarded as the best research proposal in the FIT-IT [embedded system] program line in 2008. The project team received the award from the federal minister of transportation, innovation and technology Mrs. Doris Bures. 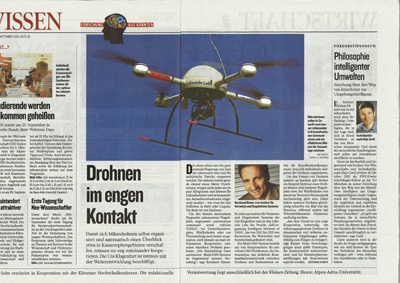 At Austria's long night of research on November 8, 2008, several night flights of our microdrones were presented to a large audience. This station won the runner up price for science communications out of 55 competitors in Klagenfurt. 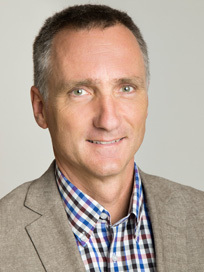 Bernhard Rinner is Professor at the Alpen-Adria-Universität Klagenfurt where he is heading the Pervasive Computing group. He is deputy head of the Institute of Networked and Embedded Systems and served as vice dean of the Faculty of Technical Sciences from 2008-2011. Before joining Klagenfurt he was with Graz University of Technology and held research positions at the Department of Computer Sciences at the University of Texas at Austin in 1995 and 1998/99. © 2009-2018 Bernhard Rinner, Austria. Imprint.